Brotherhood is not something that is learned or taught, brotherhood is a tendency, a tendency which arises from the heart that is tuned to a proper pitch. A tendency towards brotherhood, therefore, is the natural tendency in which is the real happiness from which rises harmony and culminates in peace. The message of brotherhood is a message of sympathy; a message of sympathy is a message of harmony. The person who is not in harmony with himself cannot be harmonious with another. With all the teaching of brotherhood, and with all his learning, he will not be able to observe the law of brotherhood. The whole system of the world's creation is kind of blind impulse working in a kind of mechanism of the universe. And this impulse is more pronounced in living creatures, and the most pronounced from form of this impulse is agitation. If you study the lives of the lower creatures you will find that it is not only that they have a desire for food, a desire to move about with their mates. The first appetite is to sleep, but besides this there is one desire, – an inclination, and that inclination manifests as agitation, and it is by this agitation that the animals, the birds fight together. Their whole life is filled with that agitation. Furthermore, the herbivorous animals are less agitated than carnivorous animals. In the carnivorous animals there is more desire for fighting. The lion and the tiger are more inclined to fight than horses and cows. That shows that the herbivorous animals show a step more advanced than the carnivorous animals. Therefore a tendency to eat or drink or seek for pleasures or enjoy comfort or agitation, does not particularly belong to the human being as his special characteristic; he gets it from the animal characteristic. His special characteristic is sympathy, harmony. And this comes only when man rises above that agitation which, so to speak, buries that spirit of sympathy which is considered to be human characteristic. No doubt, man is educated, he is trained, he has some polish, he has been taught some manner, and therefore he is not always able to show out his agitation. It is only at the time of weakness, when he cannot cover his agitations, that the agitation comes out and manifests to his own view as well as to the view of others, proving that person to be not yet ready to be called human. One might ask, is there any time in a man's life when one gets above this? Yes, one gets sooner than the other, but a person gets above it if he tries to get above it. This spirit of agitation shows itself as intolerance, as rivalry, as jealousy, as a dominating spirit, irritability, patronizing, all such qualities, show agitation of nature. When we study the lives of those who have served humanity, that was the first thing that they had to conquer. When it is said in the life of Krishna that Krishna had a battle with Kansa, the monster, that monster was not outside of Krishna, that monster was inside of Krishna that monster was that agitation spirit. Krishna had to fight it, and it is after conquering that spirit of agitation that Krishna became the Messenger of Love. In the Bible we read that Jesus Christ went for forty days on the top of the mountain, at the side of that spirit. What is that spirit? The same spirit which is the greatest enemy of the human race, the spirit of agitation. And the master had to fast for forty days; then the spirit went among the creatures who were the receptacle of that spirit to whom it belongs. Halima gives the description of the Prophet, – symbolical artistic, picturesque. But what is it after all? She says that the breast of the Prophet was cut open and some undesirable stuff was taken off from there. Behind the symbology, there is only one thing, that spirit of agitation that was removed from there to make place for divine inspiration. Does it not show that man inherits divine spirit, and yet this divine spirit is covered by the earthly characteristics. Among those earthly characteristics, agitation is the principal characteristic. A child sometimes begins it against his parents a boy in the school begins it against his friends, a youth shows it with his companions, a person shows it to his neighbor, and yet everyone has a reason to give for his faults. Every right or wrong one does, there is a reason to justify oneself for that wrong. Agitation, therefore is the sign of the false ego, and when this false ego is broken, when this very agitation has crushed itself, just as fire burns itself, then purification arises. Very little man notices how far this spirit follows a person in the path of spiritual progress. A person may arrive at the gate of the heavens, even to that length this spirit will travel with him. It may become weaker, but it is there. Only, this spirit has no entrance into the shrine of God, and the soul that carries this spirit with him, therefore, has no entrance into that perfect goal. He may advance as far as the gate of that inner temple, but he is not allowed, he is held back by the power of the same spirit of agitation. For the shrine of God is called 'Dar-as-Salam'. The corrupted word is 'Jerusalem'. And what does it mean? It means the door to peace. Agitation, therefore, is not allowed to enter the door of peace, it must stay outside. Therefore, as, in the ancient times, they used to say, 'You cannot follow two masters, God and Satan.' What is it? The Satan is the spirit of agitation which is to be found within ourselves, God is the spirit of peace in whom is our happiness; and we cannot follow two masters. There are many Movements and Institutions for brotherhood, and everyone is doing what they can to promote this ideal, for this is and ideal which is the essence of religion and which is the soul of spirituality. But how to attain to it? By creating in oneself, by trying to give to the others, the idea of that natural inclination to sympathy, by strengthening ourselves, and thereby giving power to others also to fight against this spirit of agitation which has always proved to be the worst enemy of mankind. Now one might ask, 'What does it come from?' From disorder. From the disorder of the body, from the disorder of the mind: if the body has not got its proper rhythm and proper tune, if the mind is not attuned to a proper rhythm, and tune; these two things. If the mind and body are not in tune with one another, if they are not in harmony, then this agitation comes. Sometimes it is the reflection of mind upon the body, and sometimes it is the reflection of body upon mind. How true it is that man is his own enemy. But where is that enemy? That enemy is this spirit, this spirit, which is never contented, which does not appreciate, which does not respond, which does not sympathize, which does not agree, which does not endure, which does not tolerate which does not harmonize. A spirit which stands against any influence of harmony, agreement, of sympathy, of kindness. But one might ask, 'What is it? Where does it come from? Is it a spirit, is it a living being, is it a Satan or devil, what is it? What is its explanation ? What is its origin?' The best explanation is that it is the same smooth silken thread which at one end becomes entangled and turned into a knot. In the place where it is a knot and where it is very difficult to unravel, it is the same silken thread just the same, only it is under a condition where it is difficult for itself, because it is not free, it is difficult for others, for they cannot loosen it. And so man becomes the same soul which has divine breath in it, the same soul who has come from heaven, the same soul who represents God on earth, when it is turned into a knot, then finds difficulty with itself, difficulty with the others, others find difficulty with it. And therefore it becomes inharmonious itself, it creates inharmony, it finds itself in a kind of inharmonious condition. It only means that it has lost its natural, original condition that smoothness, that softness. And yet it remains silk, it has not turned into cotton, it is silk just the same. Call it Satan or devil or whatever you may. If you know the source, the origin, you cannot call it anything else but a condition. 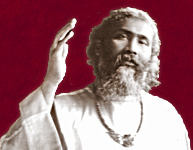 If there is anything most important to be done in the work of brotherhood, it is to develop that spirit in ourselves by getting above all knots and difficulties, – that we may not have to follow the rules of brotherhood, that all that naturally comes out of ourselves may express brotherhood.